Paid news of «Opposition Block»: Everything is just beginning - Детектор медіа. 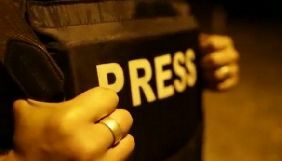 Here, we present the violations of the journalism standards in the news programs on the channels "Inter", "1+1", STB, ICTV, «Ukrayina», 5th Channel, and First National from October 27 to November 1, 2014. After election campaign ended, the amount of paid news - both hidden advertising and black PR- decreased. However, the campaigns of glorifying Rinat Akhmetov’s charity and criticizing Andriy Sadovyi and his party «Samopomich” did not stop. “Opposition Block” did not stop paying for news either. Pinchuk’s channels joined the campaign against Kolomoyskyi. The main topics of the day: the militants strengthened their shooting in Donbas, the Central Election Commission counts the votes, and some election districts experience conflicts because of election results. “We should be on the 3rd place, we have about 10%. This is a good result for the opposition, and we as a party that will be in parliament are the only opposition. There are attempts to block CEC’s work in the districts where we got good results. We are concerned about the 50th, 59th, 60th, and 26th districts. It’s all about stealing the votes from us. We are currently working with the lawyers and the observers, and we appeal to the Central Election Commission and international observers to have fair elections" (Serhiy Larіn, the head of “Development Party of Ukraine”, funded by “Inter” co-owner Serhiy Lyovochkin). “Inter” paid too much attention to “Opposition Block”. For instance, “Inter” was the only one among other channels that used Yuriy Boyko’s comment (#1 in “Opposition Block”) to analyze the possible perspectives on coalition creation in Verkhovna Rada: "We will be in opposition to the current government. And this is our principal position because we do not see that the people representing the current authorities have a clear understanding of the development of our country. We have a lot of deputies who are leaders and can convey their position with arguments before any audience and withstand any discussion." In this program, Boyko was shown twice. He appeared one more time in the video about the conflict in 96th district: "The main efforts of authorities are directed to block the transmission of information from the East of Ukraine, where we have the greatest support. 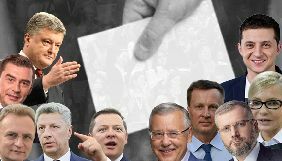 We are conducting a parallel vote count, and we will present the information about all the violations to OSCE and EU observers". The member of “Opposition Block” accuses “Pravyi Sektor”. 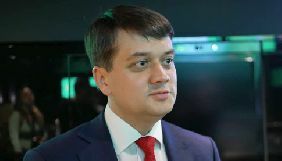 Boyko and his political force have no direct connection to the first and second cases. “Sobitiya” on “Ukrayina” also support “Opposition Block”. In the material about 59th district, Boyko accuses Kolomoyskyi in election fraud: “For instance, in the 59th district of Donetsk region, the building of regional election commission was surrounded by private militarized groups of Kolomoyskyi who blocked the commission’s work”. The material does not show Kolomoyskyi’s position. 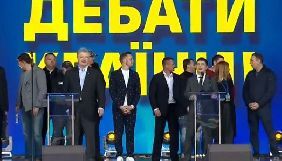 “Inter” airs the same accusations against Dnipropetrovsk governor: “The officials are the ones to blame for the opposition’s victory in Dnipropetrovsk region. This is what Borys Filatov, Kolomoyskyi’s vice, thinks. He complained about it on his Facebook page. According to the observers, Kolomoyskyi’s team focused on personal PR instead of promoting broader interests of the governor. This fact angered Ihor Kolomoyskyi. And here is the opinion of the political expert”. The material also lacks the balance of opinions. When reporting about the strange situation with imported sugar, “Podrobnosti” used subjective judgments, too, violating the standard of separating the facts from comments and lacking balance: “30 tons of sugar will be imported to Ukraine despite Ukrainian farmers being unable to sell their products”. ICTV also violated the standard of separating facts from opinions. When speaking about the ex-members of Party of Regions who joined new Verkhovna Rada, the journalist evaluates one of them: “Anton Yatsenko is called the godfather of tender mafia”, and then, she adds: “And now, Moscow will have its ears in Ukrainian Rada”. “Fakty” provided Vira Ulyanchenko, the leader of the party “Zastup”, with an ability to thank her voters: “We cannot betray our voters. We are very grateful for your support. As a political force that developed in the last six months and got such a support, we cannot ignore our voters. 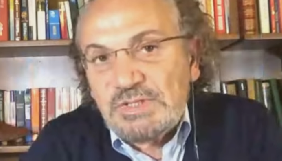 That is why we will find all possible ways to appeal to the parliament and make it, as well as the government and the president pay attention to particular issues”. The representatives of other political forces did not have a chance to promote themselves. Just like before the elections, “Ukrayina” keeps on glorifying charity acts of its owner Rinat Akhmetov: “Tons of humanitarian aid are being unpacked on “Donbas-arena”. It was send as a part of Rinat Akhmetov’s project “We will help the children”. Volunteers begin to form 11 thousand packages for the babies right away. There is a lot of work packing and giving the help away. Today, 537 families with children under the age of 2 received help”. At the same time, First National keeps on presenting its news as a television newspaper. The only full material is about shooting the car with Mustafa Nayem and Serhiy Leshchenko (the candidates from Petro Poroshenko’s Block). Other materials are followed with parquet videos, and some have low-quality videos. Despite that, we did not notice violations of journalism standards in the materials on First National. “1+1” violates the standard of balance of opinions in the material about Dnipropetrovsk Vice Governor Hennadiy Korban who asked the President to fire the Prosecutor of Dnipropetrovsk region: “Hennadiy Korban in the interview on “Ukrainska Pravda” said that he appealed to the General Prosecutor Vitaliy Yarema, but was not heard. 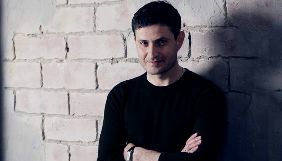 He accuses the prosecutor Roman Fedyk for not investigating the case of beating Euromaidan activists in Dnipropetrovsk and ignoring the messages about election frauds. According to Korban, these facts led to victories of the old regime’s representatives on some one-member districts”. Fedyk’s position is not shown. In the material about the seventh session of Verkhovna Rada, Marharyta Sytnyk gives various judgments and evaluations: “This Rada is finished. Many politicians are good to be called the remains of yesterday, and many hate Ukraine. Some are criminals who ran away”, “Strong parliament can save the country, and the weak and corrupt one can easily ruin it”. Showing the legendary conversation between Roman Tsariov and Roman Skrypin (“Wat?”) was also not justified. In general, there were seven materials with features of paid news. The main topics of the day: counting the votes, scandals in some districts, and the situation in the front line of Donbas. Once again, “Inter” showed an original approach to its news selection and began the program with the material about building an extra level in the Union House. The material violates the standard of separating facts from comments and presents a subjective evaluation: “In fact, unions are probably lying”. STB also started its news program with an unusual topic; it spoke about the fall of the construction crane. Second day in a row, “Inter” uses comments of “Opposition Block” without any given reasons. This time, they comment the formation of coalition (although “Opposition Block” is not directly connected to it). Nestor Shufrych blames Kolomoyskyi for the coalition formation: “Everything depends on the Ukrainian version of Bermuda triangle: Yatseniuk, Kolomoyskyi, and Poroshenko. Now, Kolomoyskyi’s interests are pretty clear”. The material does not present Kolomoyskyi’s position. In its traditional material about illegal production of amber, “Podrobnosti” call Volyn tragedy “Volyn slaughter” (this term was created by the ex-deputy from Party of Regions Tsariov): “In truth, it’s not scary in here, but very profitable. Now, it is a little bit more expensive. The village head knows the prices very well. To work in the woods, you have to pay $400. But nobody cares about the woods dying”. 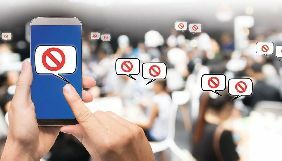 Besides violating the standard of separating facts from opinions, the videos also violates the standard of balance of opinions since it does not present comments of the police and region’s leaders who were mentioned. 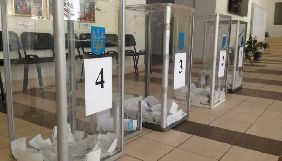 “Inter” continues to focus on so-called election fraud of “Opposition Block”: “Local National Defense Headquarters (who are controlled by the governor’s people) spoke about the election fraud in Dnipropetrovsk region. They spoke about three districts: 31, 32, and 38, where “Opposition Block” representatives won”. This material is propagandist, and that can be seen with the lack of balance of opinions and harsh evaluative statements: “They started losing elections in single-member districts. That angered Kolomoyskyi. And now, they give an ultimatum to the President”. Then, the program airs more statements of “Opposition Block” representatives speaking about their victory and election fraud. The first statement is about the 60th district: “300 votes were changed and added from somewhere. And what party received them? Petro Poroshenko’s Block. I think that now, even people on Maidan stood for different things. They wanted the truth from the current government” (Oleksiy Bilyi, the head of “Opposition Block” headquarters in Donetsk region). Viewers also saw this statement on STB and ICTV. The second statement is about 38th, 50th and 106th districts: “90% of all violations took place in Donetsk, Luhansk, and Dnipropetrovsk regions. 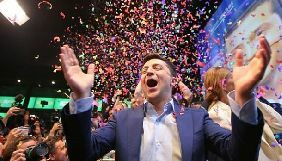 On 50th district, 4000 bulletins were thrown for the president’s party, and 12000 bulletins were thrown for the candidate who is supported by Dnipropetrovsk’s governor Kolomoyskyi. District 38 in Dnipropetrovsk region in the best example of military pressure on the commission’s members. We prepared a letter of appeal with the descriptions of these violations to the country’s president. 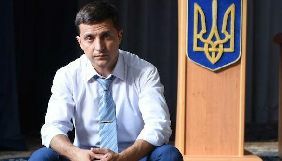 We will protect the votes of our supporters because we see that the officials want to lower our results and decrease the amount of our deputies” (Yuriy Boyko, “Opposition Block”). “Inter” is the only channel that speaks about fraud against “Opposition Block” with such an interest. ICTV also accuses Kolomoyskyi: “Unprofessional behavior of local “lords”, especially Dnipropetrovsk governor Kolomoyskyi led to opposition’s victories in 4 regions. And this is the attitude not toward Ukraine, but toward local leaders”. 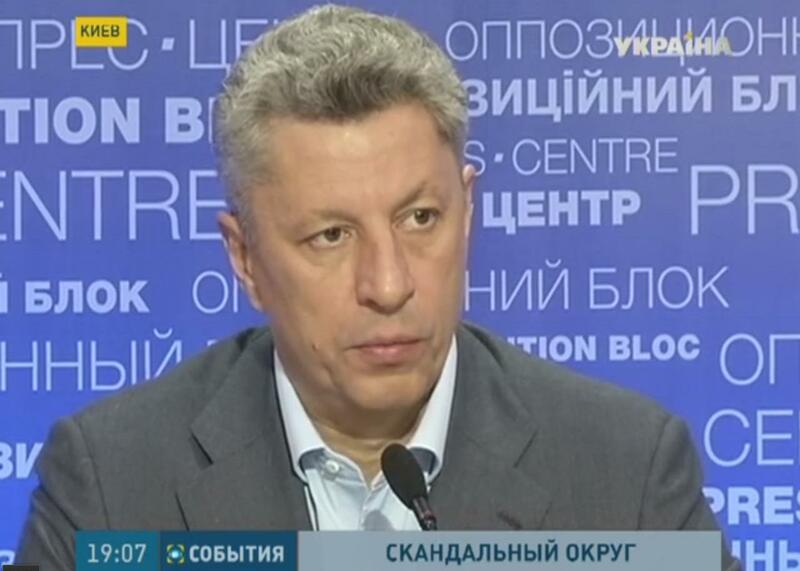 As a proof, journalists show the comment of political commentator and regular participant of “Opposition Block” events Kost Bondarenko: “Of course, “Opposition Block” has to thank the officials, especially those in Dnipropetrovsk and Odesa regions. They created such conditions that motivated locals to vote not for the government, but for the opposition”. STB also joined the campaign against Kolomoyskyi: “’Dnipro-1’ is financed by Dnipropetrovsk governor Ihor Kolomoyskyi. He is interested in the territories close to front. If we to believe the recording that appeared on the web a week ago, he tried to push his candidates in Donetsk region such as Heller. There is a conversation where people with voices similar to Kolomoyskyi’s Vice Hennadiy Korban and the deputy Davyd Zhvaniya talk about it”. “Podrobnosti” air one more statement of “Opposition Block”. This time, it is about machinations with the election results on 60th district. The candidate Ryzhenkov accused district election committee in falsification of the results; and the video does not show the other side. STB also talks about election fraud. In the material about 59th district (where unaffiliated Serhiy Sazhko who was spotted in pro-DNR meeting seemingly won), journalists present unjustified commentary of “Opposition Block”: “Our main demand is to stop the intrusion of military formations into the process of counting the votes on election districts. We will defend the votes of our supporters”. “TSN” on “1+1” presented harsh evaluations of Hanna Herman: “According to her wardrobe, the deputy of the seventh session cared about everything but the problem of improving the lives of ordinary citizens. Expensive and pathetic - these two words best describe the general fashion tendency of the ex-Rada. Hanna Herman’s total looks with the clothes of famous brands can serve as great examples of lack of taste”. “Ukrayina” devoted two materials to its owner Rinat Akhmetov and his charity acts. In general, on October 28, there were 11 materials with features of paid news. The main topics of the day: events on Donbas, conflicts in electoral districts, and the vote counting. "Inter" began the issue with the accusative material against the government; it spoke about the combatants in Donbas who are treated at their own expense without government assistance. There is no balance in the video because there are only comments of volunteers and soldiers, but no position of power ministries. After a short pause, “Podrobnosti” restarted its defamation of “Samopomich” and its leader, Lviv Mayor Andriy Sadovyi. 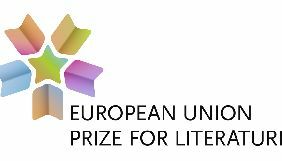 This issue aired the material that violated such standards as separating facts from comments, reliability, and accuracy, not to mention the balance: "Lviv is full of rumors. All condemn their mayor. Will he remain in the city or go to Kyiv, and what are his prospects? ", "In a closed Facebook page "Lviv politics", there are debates whether Sadovyi will stay in Lviv or go to the front. There is a version that he may become a deputy prime minister after political bargaining. It surprises the ex-deputy. Four years ago, even the City Department of Justice did not register the charter of Lviv community prepared by the mayor. This is what a local dormitory looks like. 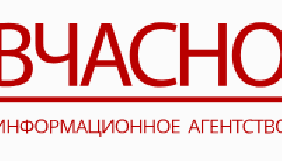 There are too many violations of the rights of citizens",""Samopomoch" remains silent. Pause has frozen. There are rumors Sadovyi is offered the position of the Deputy Prime Minister. The bargaining continues." Three (!) materials in the issue are about interferences in broadcasting "Inter". There is also a material with numerous accusations against Ihor Kolomoyskyi and, as always, without balance: “Let’s talk about another crisis - gas. And the millions who are being controlled by the group "Privat". How you can get a huge profit instead of the term for stealing is in Oksana Hryhoryeva’s material”, “The government wants to get fuel out of oil that was illegally taken from the pipelines by the group “Privat” in the spring," “They want to make Kremenchyk NPZ turn oil into fuel. The company is owned by Kolomoyskyi. Experts believe that this way, the officials want to save the leaders of "Privat" from the criminal cases for theft of 606,000 tons of crude oil,", "But the main thing is the price. The stolen oil on the factory of tycoon Kolomoyskyi costs 20 times less than the market value. The difference is the hundreds of millions of dollars." ICTV also aired unanswered accusations against Kolomoyskyi: “Unknown people stormed the district commission on the 37th district in Kryvyi Rih. The night before, when committee members were preparing to export defective ballots to Kyiv, hundreds of unidentified masked people with bits tried to break into the building. In order to stop the tyranny of the local government, "Opposition Block" addressed the President and international observers with complaints about fraud. Political forces said that these districts where the ones with the greatest confusion and massive fraud, and where tycoon Kolomoyskyi embodies a scenario of falsifying the election results to push his people into Parliament. This is what Dnipropetrovsk’s governor seemed to talk about before the elections with Davyd Zhvaniya." "Sobitiya" on “Ukrayina” also presented “Opposition Block” as winners in 60th district: "The results of the elections were documented incorrectly in the 60th district, too. According to the Commission, the representative of "Opposition Block" Oleksandr Ryzhenkov won there, but the system "Elections" has failed when entering the data into it. The turnout suddenly increased to 35 thousand, although the documents record only 27 thousand. All the extra 8000 were counted as votes in favor of another candidate, Dmytro Lubenets." “Inter” aired similar material before, and it also lacked balance. As usual, “Sobitiya” promoted good deeds of Rіnat Akhmetov. In general, on October 29, there were 5 materials with features of paid news. The main topics of the day: coalition, events on Donbas and conflicts on single-member districts. 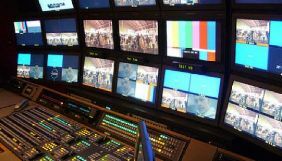 “Inter”, ICTV, and STB started the programs with the material about shooting at collectors’ car in Dnipropetrovsk region. "Inter" makes predictions on who can become a minister in the new government. Assumptions are made without any reference to the sources. Also, “Podrobnosti” keep on talking about scandals in the districts where members of "Opposition Block" did not get the victory they hoped for. This time, in Zaporizhya: "The meeting place is not accidental. Here, several lawsuits of "Opposition Block" are being analyzed. They require the annulment of the results of parliamentary elections that were held in Donetsk region. We speak about the scandalous districts such as 50, 59, and 60. Before the elections, people who sounded like Kolomoyskyi and Zhvaniya spoke about these districts on the phone. 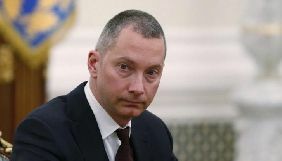 They allegedly agreed on the fraud and the victories of people connected to Dnipropetrovsk governor. Representatives of "Opposition Block" are positive that it happened this way. When the district committee counted the votes, “Opposition Block” candidates won, but CEC’s server showed other names. Whenever the opposition won, the members of the commissions were pressured by Kolomoyskyi’s people who demanded an illegal recount." There is no balance in this material. One of the leaders of “Opposition Block” Oleksandr Vіlkul comments other difficult districts: "Donetsk region. 50th District. Hero of Ukraine Baysarov won, he was chosen as a deputy two times before on that district with the advantage of more than 10 thousand votes. But the protocol of District Elections Commission was fully rigged, and the wrong data was entered into the computer. Full, 100%, fake. In 60th district, the Hero of Ukraine Ryzhenkov won; he has already won in this district before, with the advantage of no less than seven thousand. And elections were rigged in favor of the candidate from Petro Poroshenko’s Block. It is a disaster, and there are protocols with stamps that clearly state that Ryzhenkov won, and District Commission protocol was falsified. The same situation is in 30th district in the city of Dnipropetrovsk, where Oleh Zakhorolskyi won with at least two thousand votes in advantage, but the data was completely fabricated and entered into the system incorrectly. " “Fakty” on ICTV also care about Razhynkov and show Nestor Shufrych defending him and criticizing Kolomoyskyi at the same time: "If those excesses and lawlessness that took place in Donbas during the elections remain without punishment and the authorities' reactions, it means that it was a planned action. And we, by the way, knew about the phone call between Kolomoyskyi and Zhvaniya. These were the districts where they prepared special activities a few days before the elections. They implemented them with arrogance that has to be evaluated by the state." STB also airs the material with accusations against Kolomoyskyi. In the material about setting fire to “Zhovten” cinema, ICTV accused "Kyiv clan mafia that changes its names, but does not change its essence. It used to consist of Chernovetskyi’s people, and then, they become “regionals”. Now, many of them surround current city mayor. These are the people with business interests who are used to non-transparent schemes for stealing municipal property and benefitting from it." It is unclear who these people are and where the journalist gets the evidence from. As usual, “Ukrayina” talked about the good deeds of Rіnat Akhmetov. In general, on October 30, there were 6 materials with features of paid news. The main topics of the day: events in Donbas, gas negotiations, and scandalous single-member districts. “Inter” mentioned “Opposition Block” even in the material about gas negotiations also the party had no connections to this event: “The opposition called “gas peace” agreement to be a failure in the negotiations with Russia. The opposition believes that the authorities agreed to terms that Moscow suggested six months ago, before the termination of deliveries to Ukraine. And now, they jeopardized the heating season and the energy security of the country. In addition, the new gas contracts will lead to an increase in utility tariffs and the rise in food prices. Opposition members believe that the government has a very poor understanding of the economy. That is their opinion." Although on Monday, "Inter" aired Arkadiy Kornatskyi’s statement (Petro Poroshenko’s Block) about his victory in Mykolayiv district, on Friday, the channel decided to support his unfortunate rival Vasyl Kapatsyna. The latter blames Kornatskyi in election fraud in the 132th district, and the accused one is not given a possibility to speak up in “Podrobnosti”. A similar situation is in the video about the 59th district: "Observers from the parliamentary candidate, unaffiliated Serhiy Sazhko state that the men in camouflage were people of his competitor, the candidate Valentyn Manko." 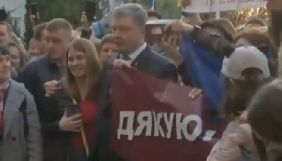 There is another material about falsifications that show the appeal of “Opposition Block” referencing it to the official website: "Opposition Block" appealed to the President, law enforcement agencies, and foreign ambassadors with the request to stop the chaos that is happening in Dnipropetrovsk region, to protect the will of the citizens and stop the fraud. This statement was published on the website of the party." “Inter” also airs black PR against “Samopomich” leader Andriy Sadovyi: "150 garbage trucks a day, 7 days a week. The dump in Hrybovychi is the mayor’s punishment for the residents of neighboring villages. They are suing the city authorities for the third year and require them to close giant trash dump and recultivate it”, “There are 7 kilometers from Lviv to this dump. You bring trash, and you throw it. The authorities see and know about it. This is big money, and not seeing it is expensive." Lviv city officials are not given a chance to explain their position. “Fakty” on ICTV also violated the standards of balance and separating facts from comments in the material about Ukrainian grain that had to be exported to Bangladesh: "A few weeks before the parliamentary elections, Ukraine managed to ruin a big contract for the supply of grain to Bangladesh", "One can only imagine what admission was waiting there for them and the luxurious offers APK Russia could give them", "It’s too bad that the country lost money that is badly needed today. It is too bad that the money flowed to Russia that is killing our soldiers in the East, and it is too bad that the business failure is again very similar to corruption and a strong desire to earn more and more." Vasyl Pazyniak from “Batkivshchyna” comments this situation, but there are no comments of officials who were accused. Also, ICTV airs paid news with the corporate advertising of Viktor Pinchuk: "For the first time, Ukrainian doctors are able to work with the military physicians from the United States who train our doctors to work in the field. These are experienced professionals. They worked during wars in Iraq, Afghanistan, and know well the differences between military and civilian medicine. Nearly 700 doctors went to the trainings. 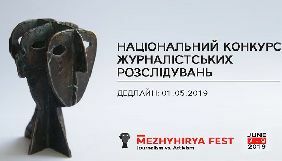 “Fakty” will tell more about the first results of a new project by Viktor and Olena Pinchuk called “Medsanbat”. The same material was shown on STB. “Ukrayina”, too, mentions this in its news, but it also praises Akhmetov and his initiative to treat refugees. In general, on October 31, there were 9 materials with features of paid news. The main topics of the day: difficult districts and events in Donbas. Although "1+1" ignored “Inter” attacking Kolomoyskyi for a few days, it finally replied on Saturday. It aired a material about 38th, 30th districts in Dnipropetrovsk region and 50th and 59th districts in Donetsk region: "Svitlana Potanina is in hospital because of the elections. Only here, the woman dared to tell what she saw not only as a member of District Committee, but as a witness of the fraud in the 38th district. Svitlana saw how election results were changed during the count», “Supporters of the loser candidate Baytsarov in the 50th district in Donetsk region are trying to destabilize the situation in the district. This is what the residents of Krasnoarmiysk and Dymytriv claim. Here, unaffiliated Yevhen Heller won with an advantage of more than four and a half thousand votes. According to the activists, the employees of local businesses are forcibly brought by buses to the meeting for a vote recount. This is despite the known fact that Leonid Baytsarov voted in a referendum for the self-proclaimed "Donetsk People's Republic", "59th district turned out to be the most scandalous. Even before the elections, it was obvious that the struggle there would be fierce. Odious supporter of the self-proclaimed "DNR" and former Mayor of Kurakhovo Serhiy Sazhko lost to the Combat "Dnipro-1" Valentyn Manko. When the vote counting confirmed this data, something strange happened in District Committee. Unknown people in camouflage and with the weapons gained control over the building, changed the committee members, and blocked those who remained". The journalists did not meet the balance of opinions, and the standard of reliability is often violated, too. ICTV also speaks about 38th district, but its abandons the balance in favor of "Opposition Block": "Leaders of “Opposition Block” join investigations of electoral conflicts. They state that they have no interests. However, they focus on the violation in the 38th district». Then, there is Oleksandr Vilkul’s comment: “Four days after the elections, mister Kuzmuk sends complaints, all written by one hand. And those people who sent the complaints - you've just seen that on the video - just contradict the things they wrote." "Ukrayina" joined the battle for the 59th district supporting “its” candidate Serhiy Sazhko: "According to preliminary data, Mayor of Kurakhovo Serhiy Sazhko is winning in the 59th district. His closest rival is the battalion commander of "Dninpro-1" Valentyn Manko. The Commission remained inactive for three days." The channel also talks about the 60th district where it abandons balance in favor of Oleksandr Ryzhenkov (previously supported by “Inter”) and shows unjustified comments of “Opposition Block”: "If the guilty ones are not punished, it would set a precedent and possibility for everyone else – the mayors and governors – to use such an example of winning in the elections”. “Inter” airs two comments of "Opposition Block" representatives- Yuriy Boyko and Oleksandr Vilkul - in its materials about the struggle for the districts. There are suspicions around “Inter” material about the former deputy of Kyiv City Council Viktor Tyshchenko. Journalists say that he allegedly "inherited" the land near Kyiv from the “organization "Ukrainian society of hunters and fishermen." We know that Viktor Tyshchenko is on the board of the charity fund owned by the former head of the city council, Volodymyr Bondarenko. But he says that he knows nothing about land of his partner”. It is unclear what laws Tyshchenko violated, and there are no sources of information. There is no comment of Tyshchenko, either. 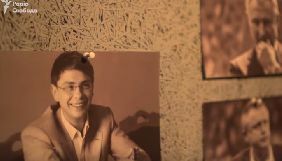 "Ukrayina" airs two materials about Rinat Akhmetov’s charity; one is about charity in Luhansk region, and the other one about the charity in Donetsk region. In general, on Saturday, there were 9 materials with features of paid news. Number of paid materials decreased, but it has not disappeared. During the week, we recorded 43 materials with signs of paid news. This is four times less than last week. However, the hopes for a complete cessation of paid news after the election did not come true. The biggest amount of paid news appeared on "Inter" (19), followed by "Ukrayina” (13) and ICTV (7). We did not see any paid news on First National and 5th Channel. "1+1" has materials without the balance of opinions, but generally, it was neutral until Saturday, when it began to respond to attacks against Kolomoyskyi. The main purpose of paid materials was to support the fight of “Opposition Block” for a few single-member districts where close to that political party candidates (including unaffiliated candidates) try to seize the victory. Sixteen material with paid news features defended the interests of "Opposition Block". Ten materials were devoted to good deeds of Rinat Akhmetov. Eleven materials were criticisms of Ihor Kolomoyskyi, and two were against Andriy Sadovyi. Thus, with the completion of the elections, the news preserved the main lines of the domestic information war.